School of Mechanical Engineering & Automation, University of Science and Technology Liaoning, Anshan, Liaoning, 114051, Anshan, China. While designing a machine, special design requirements are influenced by various restraint factors in practice. The evaluation of its scheme usually features multi-levels, multi-attributes and a mixed type of both qualitative and quantitative indices. 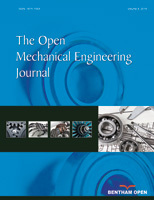 Therefore, this paper focused on the evaluation of the machine design scheme and provided an evaluation method of the machine design scheme based on information content measurement model. This model firstly performed an analysis of all the factors that influence the design application and brought about an evaluation index system on the basis of information independence. Secondly, the model obtained the entire information content of the scheme by establishing information content calculating models of multi-level evaluation indices, and achieved the optimization analysis of machine design scheme on the basis of different amount of information content. Finally, the paper examined the effectiveness of the model with the application example.